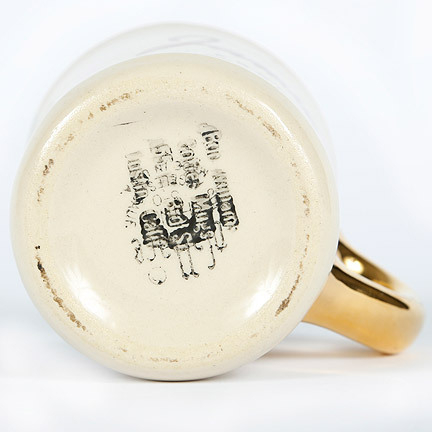 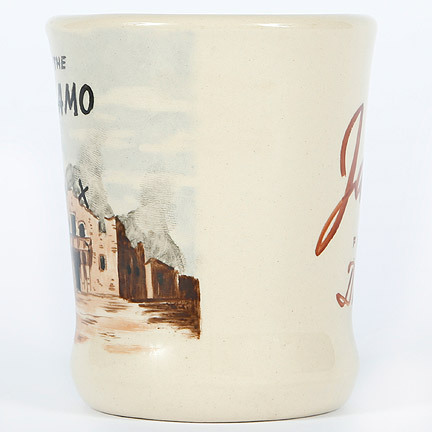 Mr. Wayne had these mugs custom-made to present as gifts to cast, crewmembers and friends upon completion of the film. 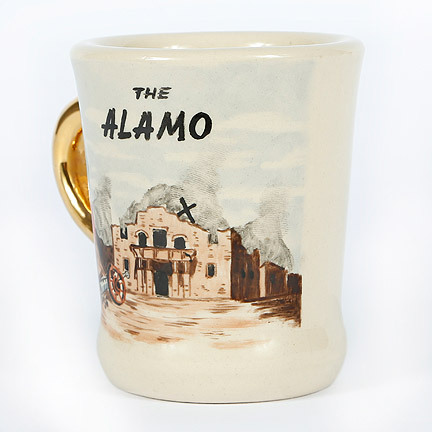 Mr. Wayne presented the mug to “Jamie” for the motion picture, “The Alamo” co-starring Richard Widmark. 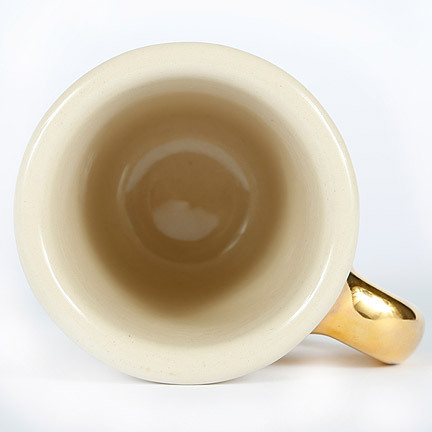 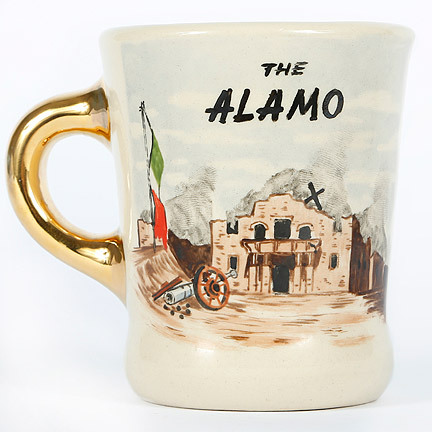 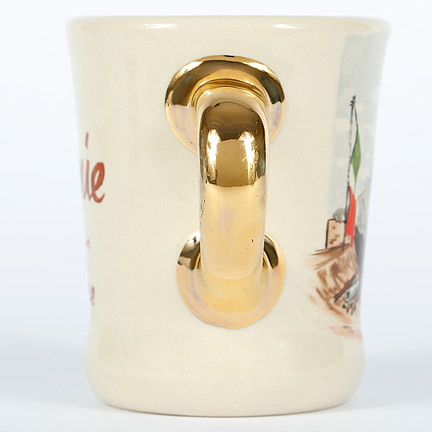 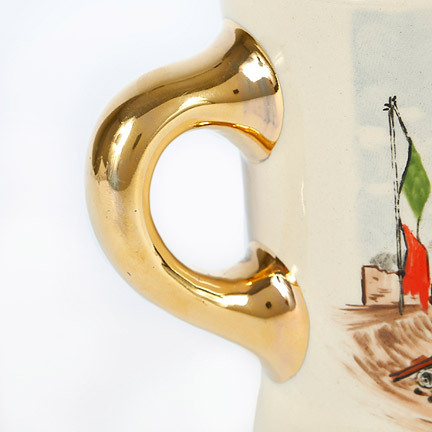 The front of the mug has “The Alamo” logo, and a hand painted image The Alamo, gold leaf handle, and the verso reads “Jamie, From Duke”. 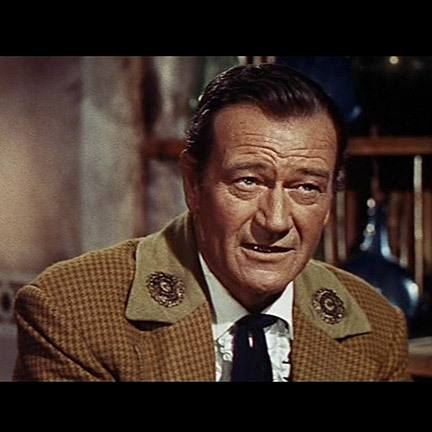 As well as starring in the film, John Wayne also directed this feature from 1960. 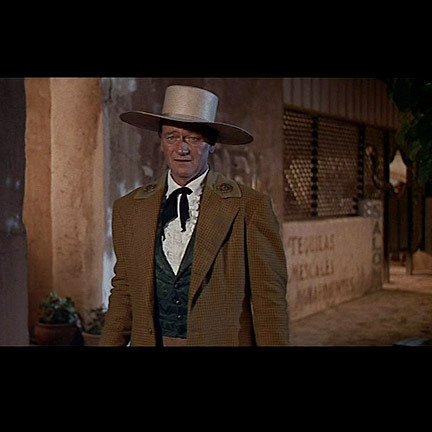 Originally to be cast in but role, Mr. Wayne was convinced that the success of the film depended on his lead in the picture. 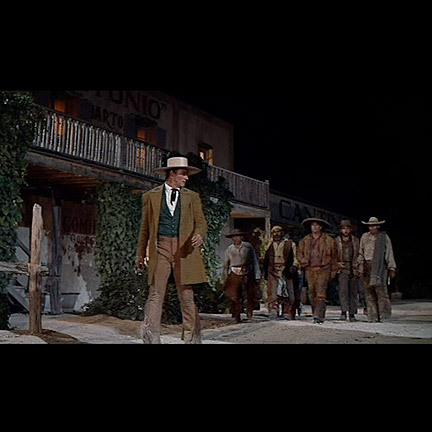 This epic film was made for a staggering 12 million dollars, a huge cost at the period and was nominated for several Academy Awards including Best Picture; winning the Oscar for Best Sound. 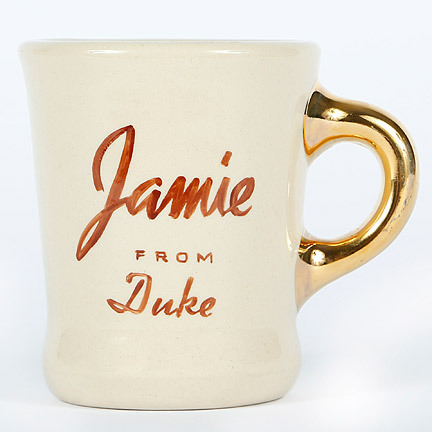 This mug is in excellent condition with minor wear. 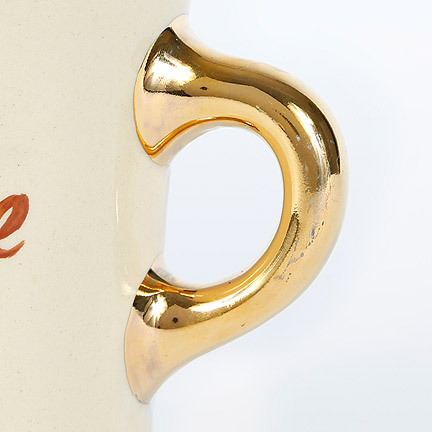 Eastern Costume Company acquired this item through inner industry trades and/or purchases.